Often described as WWII machinery in space, these kits are the perfect blend of sci-fi modelling with AFV weathering and finishing techniques... And they look fantastic, at least in our opinion. 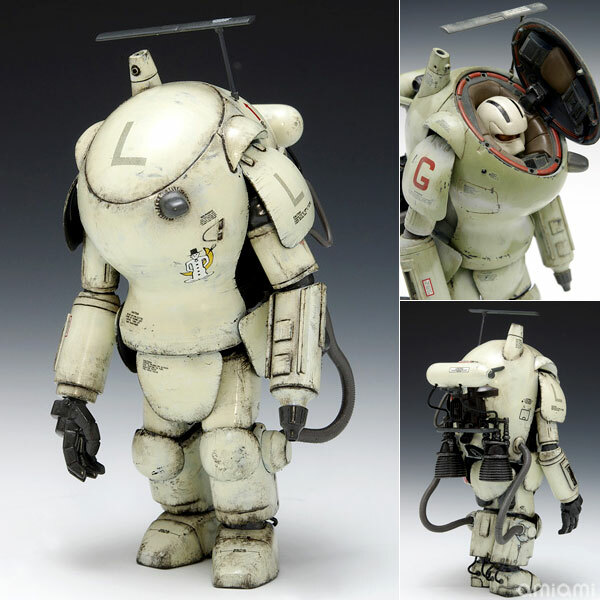 If you are not familiar with Maschinen Krieger (abbreviated as Ma.K) here is a little bit of background. The franchise was started by Kow Yokoyama in the 1980's. 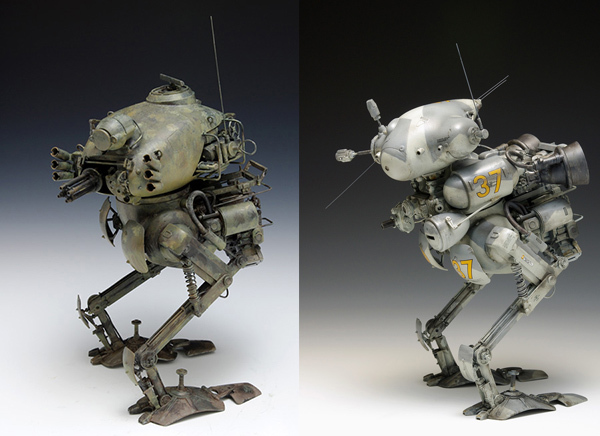 Yokoyama-san was a scratch-build modeller, artist and sculptor. Among his works he built machines of war that would fight in the 29th century, but took their visual cues from early 19th century weaponry and the early NASA space program. All his models were pieced together from numerous kits including armor, aircraft, cars and found objects (like ping pong balls). Yokoyama-san along with Hiroshi Ichimura and Kunitaka Imai worked together to create a photo-based story called SF3D, which was printed each month in Hobby Japan magazine from 1982 to 1985. The photos used real world backgrounds, forced perspective, motion blur and visual effects to look as realistic as possible. 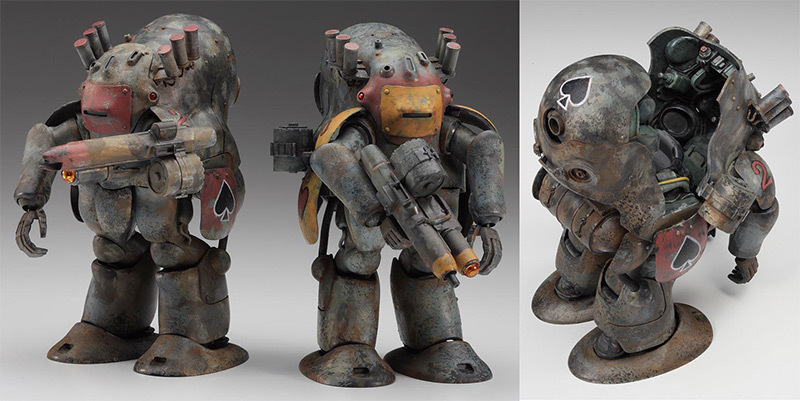 They became incredibly popular and a small company, Nitto, began producing styrene kits of the various war machines primarily in 1/20 scale, but also a few in 1/76 and 1/6. The original photos are not available online, but you can get an idea from the covers of "Maschinen Krieger Graphix" below (that's Yokoyama-san on the right) or from a contemporary fan's interpretation here and here. The story relates to a war fought on Earth and the Moon in the late 29th century. In 2807 a nuclear WWIV renders Earth uninhabitable. Miraculously by 2859 the environment restores itself and colonists return to rebuild. Over the next 20 years the colonies thrive in a rather Wild West/anarchic fashion. The Galactic Federation, the human interstellar governing body, sends the Strahl Democratic Republic (SDR) forces to take control and form a ruling government, which they do with an iron fist. The colonists and their governing structures rise up and form the Earth Independent Provisional Government, which with the help of wealthy colonists hire mercenaries to muster the Independent Mercenary Army (IMA). The stage is set for years of brutal and murderous battle, which becomes the crucible for the development of the war machines we enjoy in kit form. In 1985 Yokoyama-san worked with Tsuburaya Productions to create a SF3D short film that was a mix of live-action and models. It shows a battle between an IMA Super Armor Fighting Suit (SAFS) and the SDR Nutrocker (the now very popular mistranslation of Nutcracker) that is hunting it. You can watch the film here (in unfortunately low quality video, but well worth it): part 1, Part 2 and Part 3. In 1986 some real world drama lead to a court battle between Kow Yokoyama and Hobby Japan magazine for control of the copyright. This caused Nitto to stop kit production. Fortunately in the 1990's the lawyers were done and Yokoyama-san had regained control and patched up the relationship with Hobby Japan. 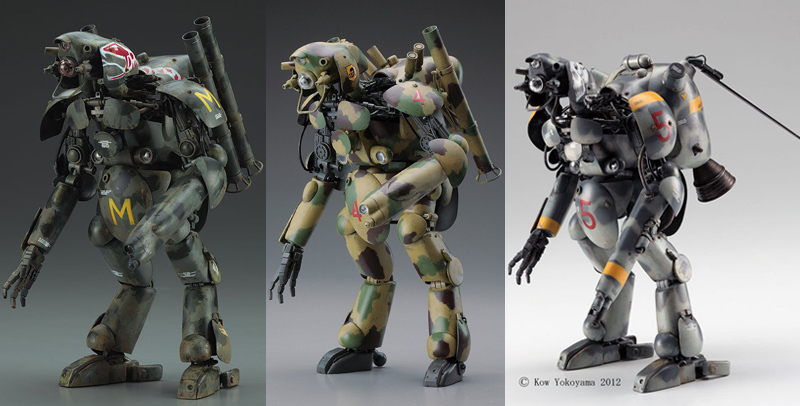 The project was resurrected under the name Maschinen Krieger ZbV3000, and Nitto re-released its kits under the new name. In later years the same styrene kits and new designs were also released by Wave, another Japanese modelling company. 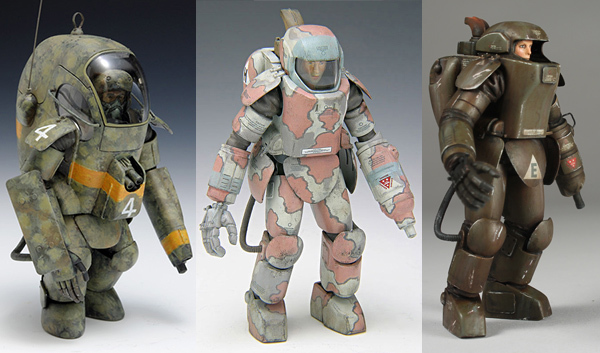 Some of the companies and modelling circles were given permission by Yokoyama-san to produce resin garage kits. Some were full resin kits of the vehicles and suits, but most of these were (and are) figures and replacement pilot heads, along with conversion kits for variants of the armor suits and vehicles. 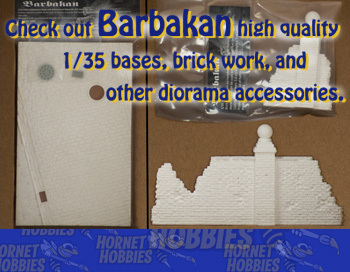 Some of these kits were produced by Rainbow-Egg, Modelkasten, Futch, Love Love Garden, Brick Works, and the renowned Silicon Tribe (who produced SAFS variants in 1/16 scale). 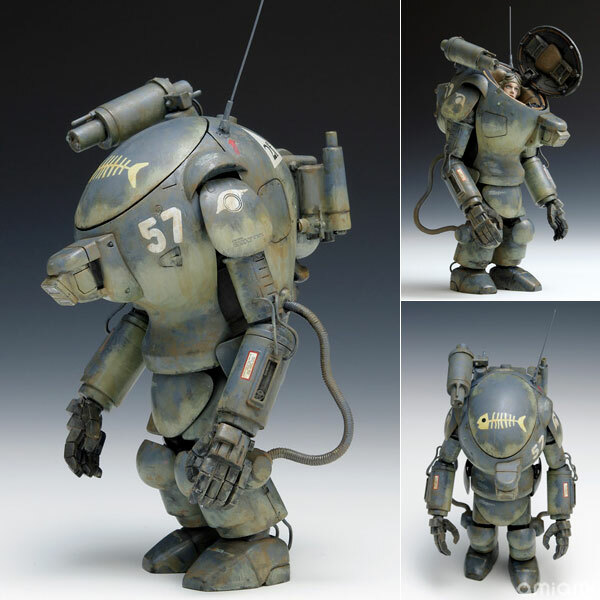 The older, full vehicle resin kits can still be found, but the prices are staggering.